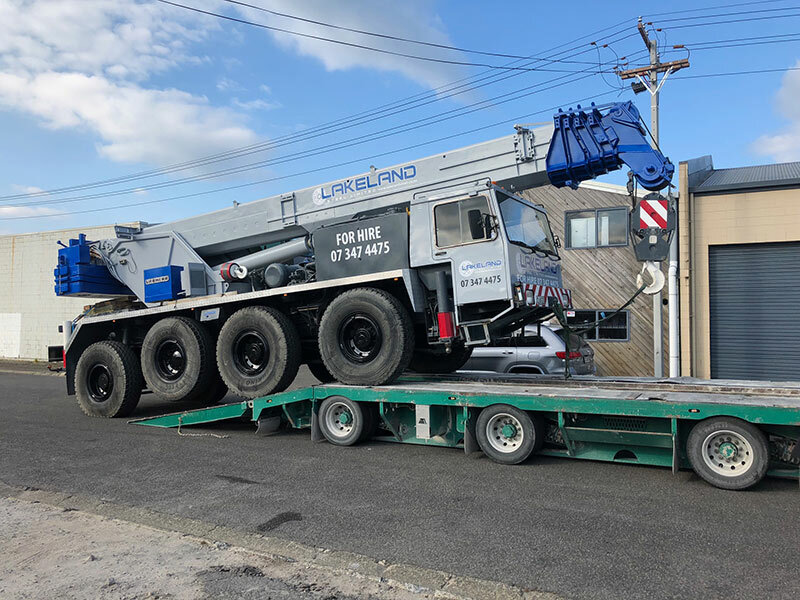 We have our own fleet of cranes and telehandlers and hold appropriate unit standards for Working at Heights, EWP and Rigging. 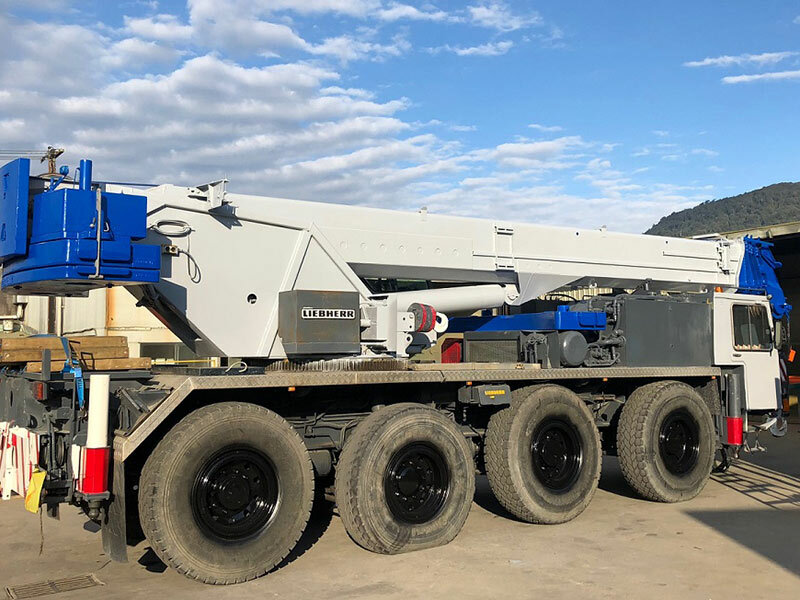 We also have highly skilled engineers and tradesmen to fabricate all the parts required for modifying or maintaining the equipment at your site. Our workshop has all the equipment needed, including a 400T brake press, plate rollers, guillotine, multi-head laser eye profile cutter, latest computerised lathes and milling machine. As a result we are well equipped to service the needs and requirements of any maintenance programmes or re-design projects you may have. 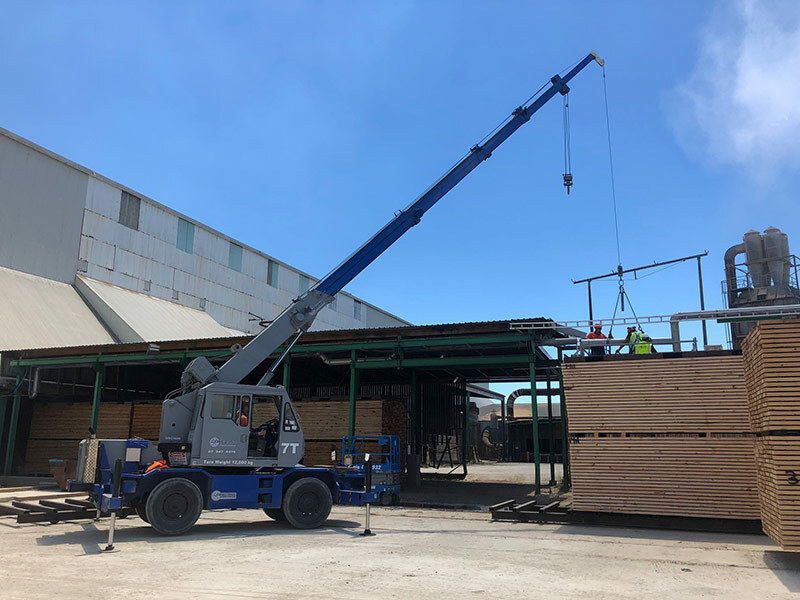 A number of installations completed by our team have included importing used equipment, re-designing or modifying the machines and installing them into the timber site. 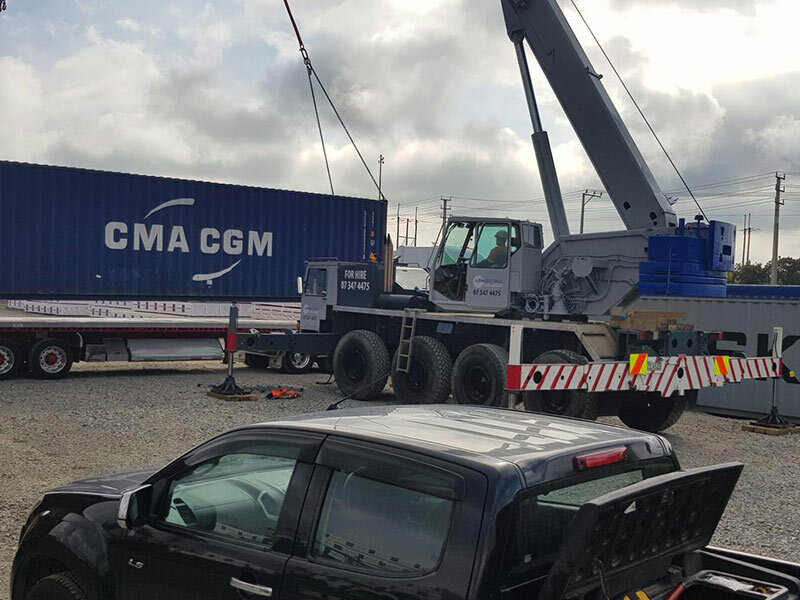 We take pride on ensuring that its client’s expectations are met with crane hire and project work completed with a high standard of workmanship – on budget and within the given timeframe. 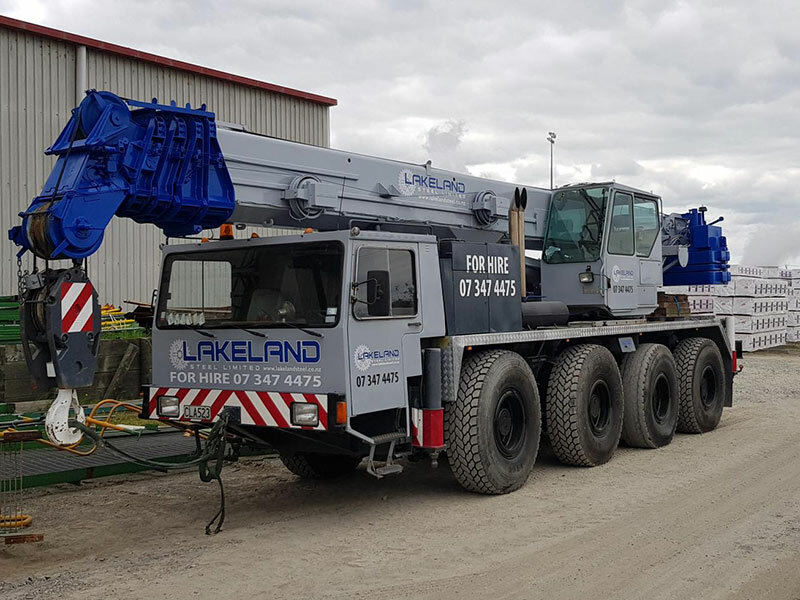 Lakeland Steel Ltd offers competitive rates for 7T and 50T crane hire. Please contact us for further information and pricing. 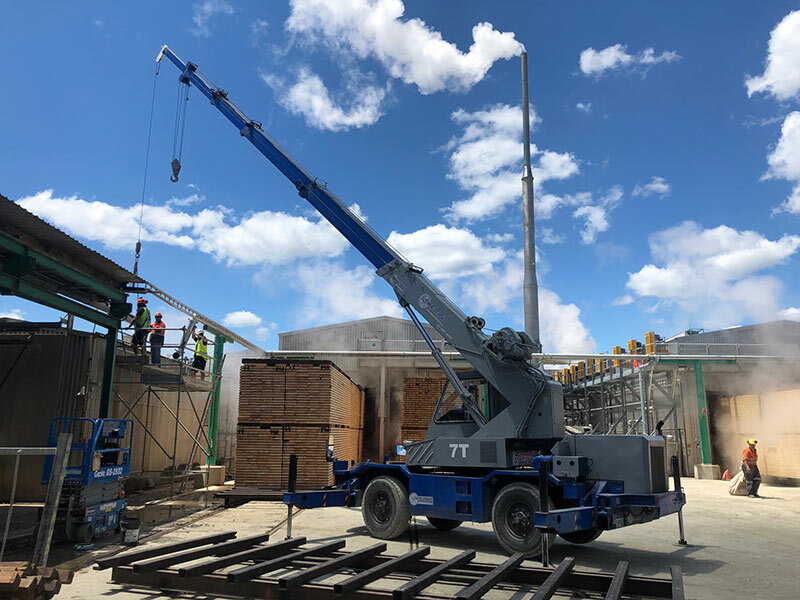 Lakeland Steel Limited considers people safety and health protection, safety in regard to operations, customer satisfaction and listening to stakeholders as paramount priorities. Lakeland Steel Limited has a Health & Safety management plan in place and a dedicated representative whose responsibility is to ensure compliance is maintained. We strive to comply with applicable laws and regulations. All of our staff at Lakeland Steel Limited are made fully aware of our H&S policies and procedures and we work with them to continuously update and improve.